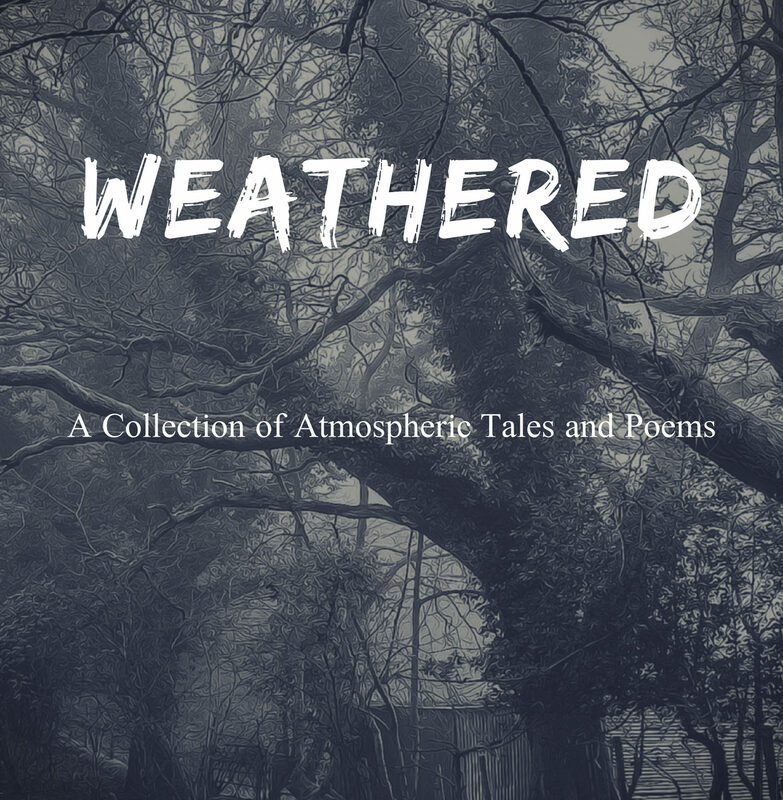 Well, today I drafted what I hope is the final cover design for Weathered. Got all the prelim paperwork done and fees paid to the proper institutions. Finally, I can reveal the cover for real! 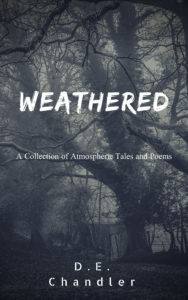 The final cover for Weathered. I can’t express what a journey this has been. I am so excited to share these with you. Perhaps, if nothing else, I will look back on these cringing one day and see an amount of progress. Yes. These are some of my early works, gathered together and shoved between some covers for posterity. I hope you will find them entertaining. Now, I’m just going to have dinner, and perhaps a glass of wine, and wait for the neverending review process to let me know what I have to fix. Not depressed, just tired and ready for the glass of wine at the end of this day, because tomorrow, it’s time to finish this draft of Nova Wave. Finally. Keep Watch. Weathered is coming soon! I will post updates here first. Thank you all so much for hanging in there the last few. It’s been a ride. Previous PostWe’re going to Steam Con! Next PostNova Wave Final Cover!